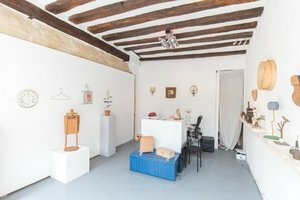 This lovely arty space in Le Marais is perfect for Pop-Up Stores, Art Exhibitions and Product Launches. The exterior features floor to ceiling windows which offer brilliant visibility whilst also creating a bright atmosphere inside the space. The interiors are a perfect balance between old and new with crisp white walls and exposed stone pillars. 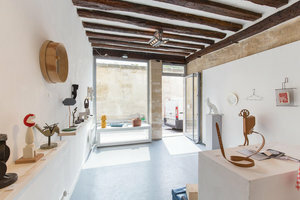 The space also contains basic facilities as well as stock room area. 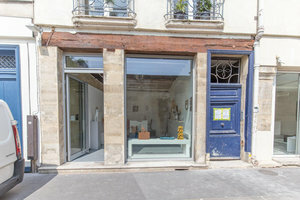 This space is advantageously located for Fashion Week sales and pop-ups in the stylish area of Le Marais. 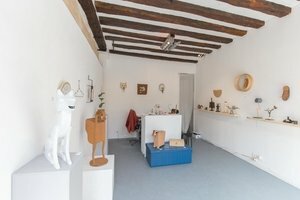 Surrounded by popular retailers, galleries and attractions including the Musée Picasso, this is a great opportunity for brands to gain exposure.